Best Electric Inc has been delivering results since we opened. Our goal is to provide both a superior customer experience and tremendous value for our customers. 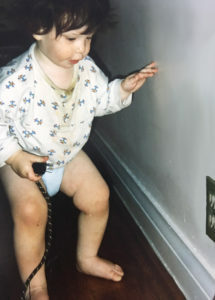 Founder Duda Kochman has been working with electricity since he discovered electrical outlets at the age of 1. He later apprenticed to a master electrician in Toronto and was managing a crew within 6 months of being hired. While there he gained expertise in electrical troubleshooting and lighting solutions in residential, commercial and industrial applications. He also gained prowess in equipment installation (including meter bases, distribution panels, transformers, hot water tanks, motors and compressors); new construction projects; renovations; and ESA regulations. We love our customers and welcome your feedback and suggestions. Use our Contact Us page to tell us what we’re doing right or where you think we can improve.